Tents that take forever to set up have gone the way of the dinosaur, people. 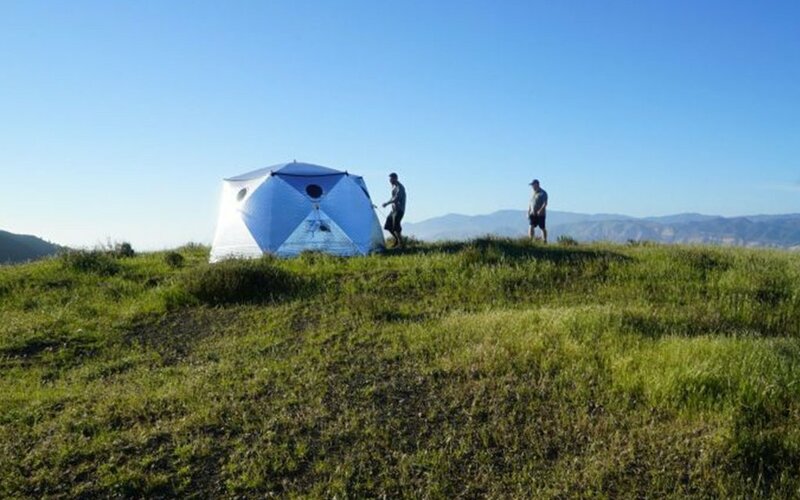 If you need any more proof, check out the revamped SHIFTPOD2 offering from Advanced Shelter Systems, a tough as nails over-nighter that looks like an alien starcraft and sets up in a reported 17.8 seconds. Wowie. 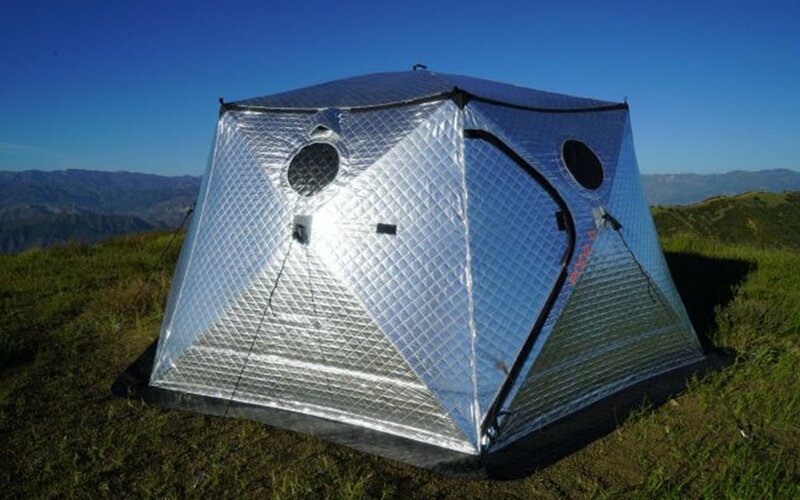 The SHIFTPOD2 employs Advanced Shelter’s token six-layer DARK-OUT fabric, aka synthetic down-thermal insulation paired with highly reflective outer UV layers. What that means in practice: toasty temps when you need ‘em on the inside, and the ability to repel a too-toasty sun on the outside. The ideal all-weather hab. Other features included in the construction: two doors, two vents and six windows, all with bug screens. 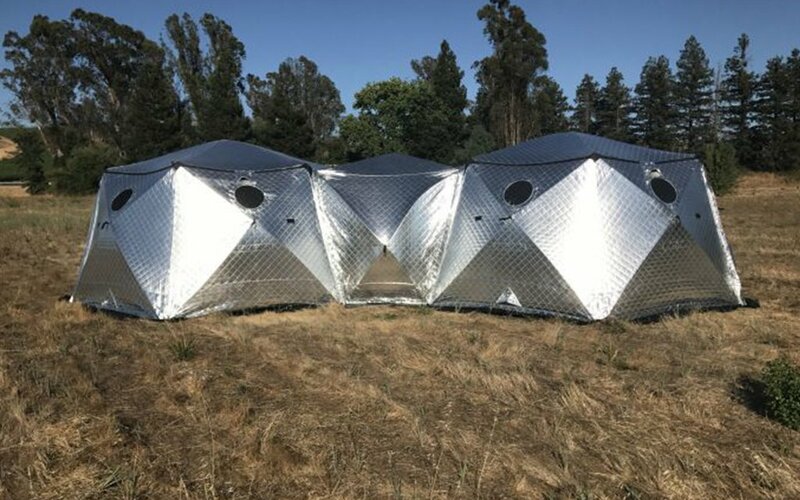 Advanced Shelter recommends keeping the vents and windows open for air, along with aligning the vents with the prevailing winds to get a nice cross-breeze, and, ya know, not suffocate. Best part? 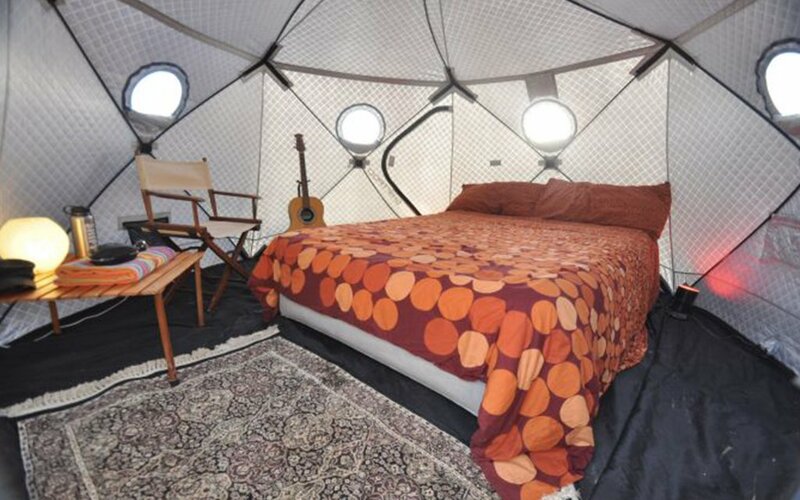 A shelter that easily fits in a small car is also able to house a queen-sized mattress, or any sleeping bag up to 6’6 (looking at you, Michael Jordan). If you need yet more space, connect one pod to another using “tunnels” and you’ll have a little SHIFTPOD2 castle on your hands. Though, of course, you’ll be looking at a bit longer than 17.8 seconds on the setup time. Find more info here on ordering your pod. They’re currently $200 off.